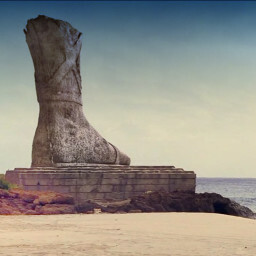 The Colossus of Rhodos is one of the famous Seven Wonders of the Ancient World. It was built between the years 292 and 280 BC, to commemorate the successful outcome of the war against the troops of Demetrios Poliorcetes (The Besieger), one of the epigones (epigoni) of Alexander the Great. It was built by Charis the Lyndian, a student of Lyssipos a renown sculptor of the Hellenistic times that amongst others built the bronze statue of Zeus (22m high) of Taras (Taranto). The statue was depicting the protector of the city of Rhodos, the God Helios (Sun), naked with a crown of rays around the head. On the right hand of the statue there was a lamp with fire, or a torch. It was the tallest statue of the ancient world, standing at over 30 meters of height. 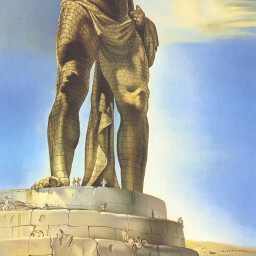 The design, posture and dimensions of the statue of Liberty (33m) are based on the descriptions about Colossus. It is known that the statue stood in its place for only 54 years. In fact, during the earthquake of the year 226 BC the statue collapsed and snapped at the height of the knees with the remains falling on the ground. 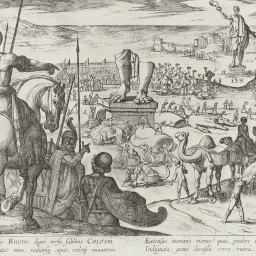 When the King Ptolemy III of Egypt learned about the disgrace, offered to pay for the reconstruction of the famous statue. The Rhodians were hesitant fearing to offend their God Helios and after asking the oracle of Delphi they decided not to rebuilt it. The remains stayed lying on the ground for over 800 years. It seems that they were quite impressive as many travelled just to see them. According the chronicles of Theophanies the Confessor, the remains were sold by the Arabs that captured Rhodos in 654 but a more plausible explanation is that the bronze remains were melted before the Arabs arrived to the island and used as to fabricate coins. One of the main debates that still today reigns among the archeologists is the position where the Colossus stood. There are many different opinions but there is no hard evidence to favor any of them. 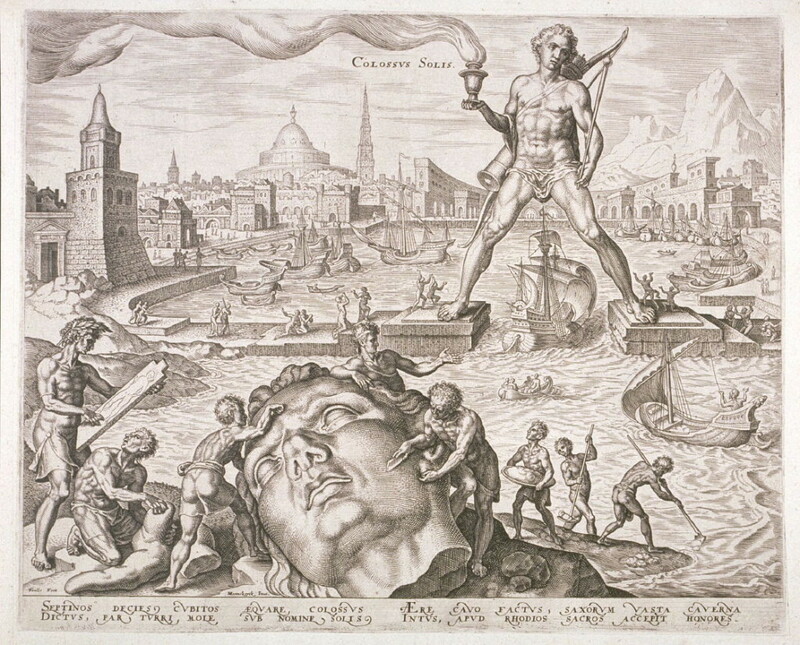 Most believe that the various gravures coming from the medieval times representing Colossus standing in the front of the old port of Rhodos have a little to do with the real Colossus. In fact, it is documented that when Colossus collapsed it also destroyed several houses. But as long as no remains are been discovered the mystery will continue.